Reid School's Firsrt Lego League team. The First Lego League is a robotics competition. Reid School students from the Primary level on through the Preparatory Levels spend alternating quarters in Computer Lab 1 where they are taught computer keyboarding, reading, and spelling skills (KRS) and in Computer Lab 2 where they use computers to augment/enhance their classroom studies. 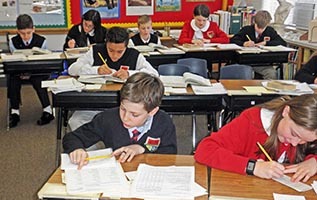 The KRS computer program reinforces the students’ reading, spelling, visual memory, and language usage skills and develops fluency in reading. KRS uses a phonetic approach to reading, with the computer being an essential component of the instructional process. 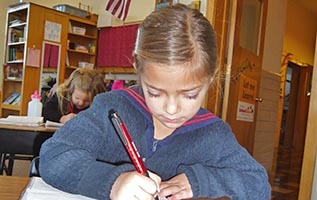 It ensures students’ competency in reading, writing, and communicating and their adaptation to new technologies. 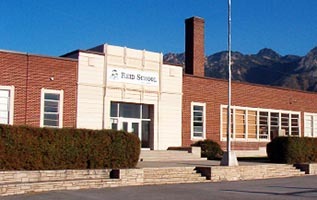 Because of the effectiveness of the computer program, it has been validated by the U.S. Department of Education. All students receive instruction in KRS in Computer Lab 1.
lab for a creative writing assignment. Advanced computer skills are taught in Lab 2. Students from the Primary Level and higher learn common business and communication applications. 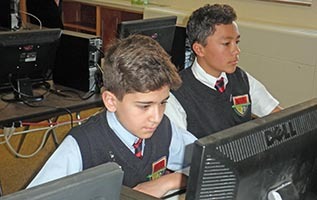 Students in Lab 2 learn how to use a computer’s file system as well as how to navigate the World Wide Web safely and effectively. 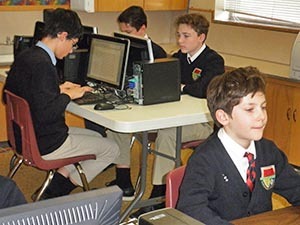 It is crucial at Reid School that every student becomes comfortable using the three most common software applications used in the work place: word processing, spreadsheets, and slide show or presentation software. 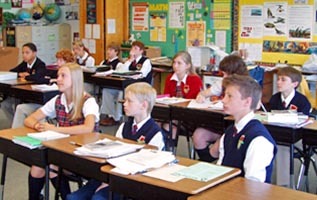 Students learn to access information and communicate with the outside world digitally. The Computer Lab 2 is integrated with Science, Social Studies, Mathematics, and music so projects in Lab 2 will supplement what students are learning in other classes. Through a partnership with Utah Online Schools, Reid School students are also issued a Chromebook to facilitate greater digitial learning. © April 21, 2019; 12:47am MDT – All Rights Reserved.